- www.em.gov.bc.ca/cf/minfile file no. 082ESE070. - Rocks & Minerals: 62: 324-325 & 331. 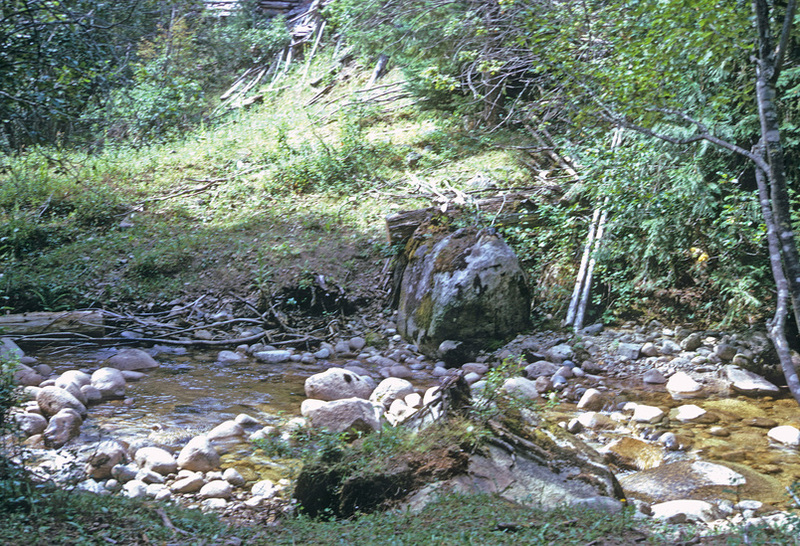 Owned initially by Consolidated Mining and Smelting Co. of Canada Ltd. Operated intermittently between 1918 and 1942, producing 56,000 tons of ore. 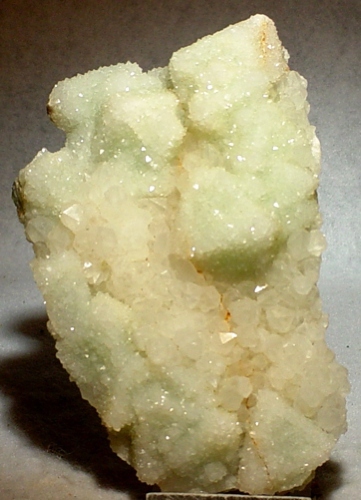 Produced about 36,759,501 kg of fluorspar and 1,673,000 kg silica. Controlled by Cominco until purchased by Bob Jackson, with assistance from the late Joe Nagel, of UBC, in 1986. 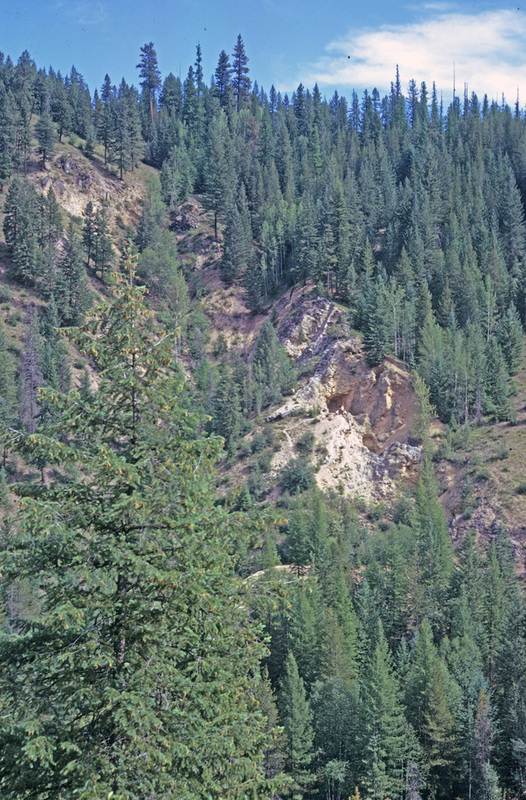 Mineral rights are crown granted; Jackson runs a commercial specimen operation and fee dig. 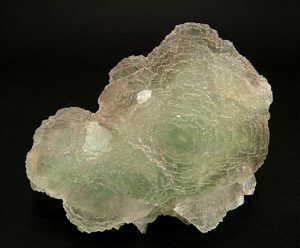 The mine is noted for its green Fluorites that are a pleasant color if not very sharp or shiny and the tabular golden barites that it produced. 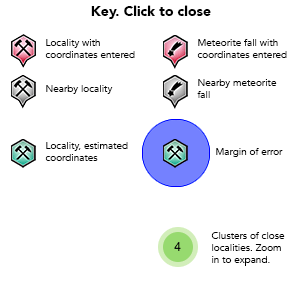 (The dominant fluorite habit is octahedral, each octohedron being composed of oriented cube faces, particularly on the crystal edges. Botryoidal and cubic habits are usually purple. Good phantoms of green over purple, and clear over green are produced. Lately, lusterous, sharp green octahedrons, some on drusy quartz, have been collected. - BJ) It occasionally produces very fine combinations of golden barites growing on green fluorite and sometimes slightly purple fluorite, occasionally all on sparkly drusy quartz matrix. Description: Occurs in andesite hosting the fluorite veins. Reference: www.em.gov.bc.ca/cf/minfile file no. 082ESE070. 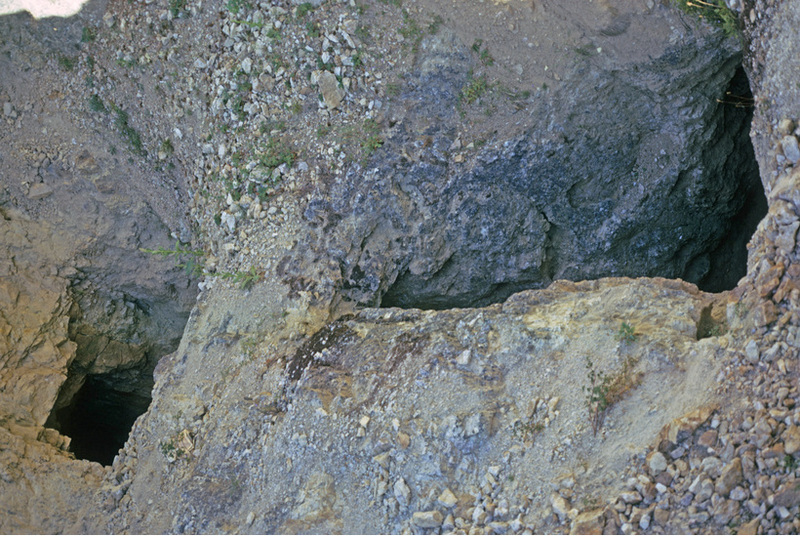 Description: Occurs in the Coryell syenite intrusion. Description: Occurs in Coryell syenite. Reference: Rocks & Min. : 62: 324-325 & 331. Description: Occurs in veins to over 1 meter wide. Reference: Rocks & Min. : 62: 324-325 & 331; www.em.gov.bc.ca/cf/minfile file no. 082ESE070. Description: Occurs in andesite hosting the fluorite veins and filling large cavities in the veins. 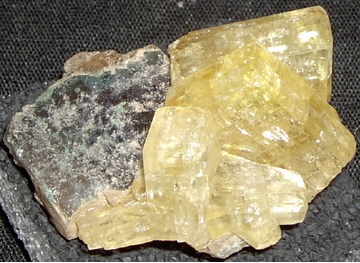 Description: As cores within orthoclase crystals within Coryell syenite. Description: Occurs as large pink and green crystals in the Coryell syenite intrusion. Crystals ay contain hyalophane cores.